For the past twenty or maybe twenty-five years, ever since the kids left and life slowed down, today was my favorite Sunday of the year. Masters Sunday. The futon on the screened-in porch. A slow burning Cohiba or Montecristo that had been stashed away all winter, just for today. A tall, cold glass of Diet Pepsi. Watching the swoons and sways of the leaderboard. The green jacket transfer in Butler Cabin. It was all so good. But not this year. Not today, anyway. Things have changed. Ever since my surprise cinco de bypass in August, a random cigar just doesn’t taste that good. Diet pop doesn’t go down well anymore, either. Today’s chilly Alabama weather means a pullover and probably a Unibomber hoodie on top if I want to sit on the deck. And maybe the biggest change is that this year, my favorite Sunday will be July 1, the day after I hang up my briefcase for the final time and celebrate a forty-four year career that had a few more birdies than bogeys. On that day I’ll be joined by my friend Ketel on the rocks, probably two of them, with remote in hand watching baseball. It’s a scene that I’ve mentally rehearsed often. 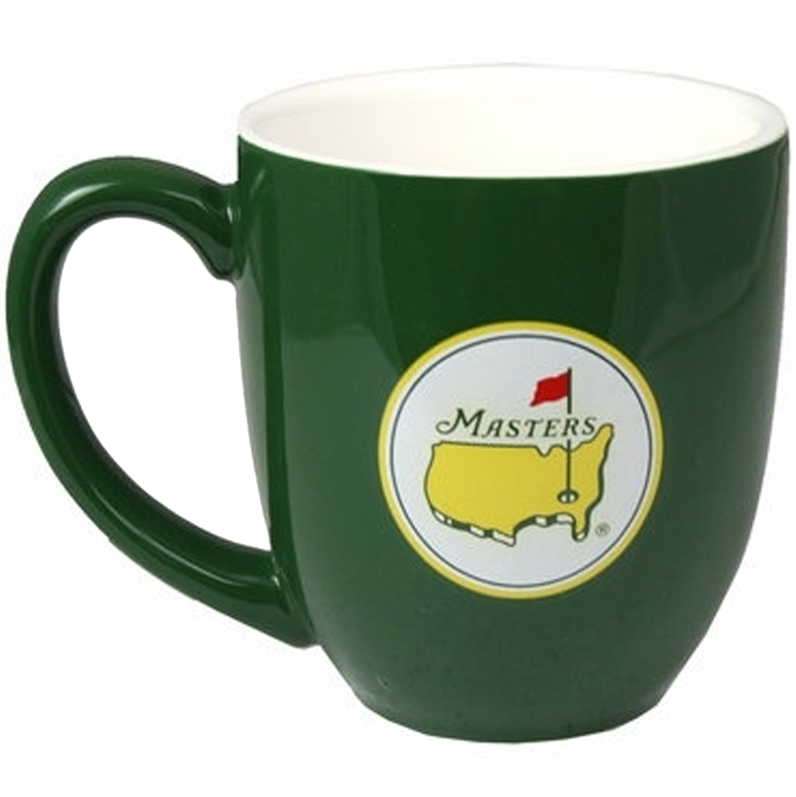 After that, I’m prepared to return Masters Sunday to its rightful place in 2019. Four years ago, Andi and I took the 250 mile trip east for a day at Augusta National. It was a Friday, Day Two of the tournament. When I got home, in the pre-Sunday Morning Coffee days, I penned my impression of the experience. I guarantee you nothing has changed since 2014, because nothing ever changes at the Masters. Today is the perfect time to share it with SMC blog readers. I hope both of you enjoy it. April 4, 2014 — If you’re a golf fan, or sports fan, or just want a taste of Americana then Augusta, this otherwise unremarkable out-of-the-way outpost in easternmost Georgia, needs to be on your to-do list. It took me almost 62 years to finally get here. The Augusta lawn is so pristine it prompted a bloke to bend down on one knee Friday evening and propose to his now fiance. It was a not-so-transparent, and probably successful attempt, to make the sport and his participation in it paramount to their life together. You are not a fan or spectator here — you are something called a ‘patron.’ You are treated with due respect and courtesy as a guest by not only the thousands of others in that category but the officials as well. However, don’t even think about running to get an edge on a fellow patron, or you’ll face a sanction more severe than dunking your third shot into Rae’s Creek. The golf gods are up-close and personal and they walk around and through us mere mortals no matter our socio-economic stature. Concession prices make you feel guilty for not spending enough. Renowned pimento cheese, a southern delicacy, along with egg salad sandwiches are $1.50; a chicken sandwich is a wallet-busting $3.00. Water is a buck, soda $1.50, beer $3.00 and if you really want to step up big time you can have an imported beer for $4.00. I bought three sandwiches and a soda for $7.50. Try that at Yankee Stadium. The pricing at Augusta almost begs you to buy more. You don’t feel like you’ve spent enough. However, they do get it all back in the merchandise tents. The place is operated as a congenial police state. Just don’t break a rule, or more importantly a tradition, and you’ll get along splendidly. No cameras or cellphones are allowed on the grounds which didn’t bother me nearly as much as I thought it would. In fact, it was nice break. It’s Augusta National and the Masters and what a pleasant surprise it was for me. It’s right where the flag sits in the cup — 130 miles east of Atlanta, five hours from Birmingham and a schlep from just about anywhere else. I was convinced after waiting all these years it would be a one-and-done; been there, done that, no need to go back. Like enrolling for Medicare. As everyday passes and I move along on the back nine of life, I’ve gotten adverse to so many things: crowds, traffic, waiting in lines, fighting for a parking spot, another trip to the restroom and bibb lettuce. I figured Augusta would be more of that. I was wrong. I’d go back one more time to try and take in as much as I missed this time. It’s a Management 101 seminar in how to run a business efficiently and successfully. They are the Masters of their domain. This place was not only impressive but clearly no accident. Every detail is in its rightful place. It’s the only major championship in golf that’s played on the same venue every year which only adds to the lore, tradition and mystique. Give yourself a double bogey if you are a golf fan (oops, patron) or sports type or event monger and don’t get a chance to visit Augusta National for the Masters. Put it on your to-do list and don’t worry about bringing a lot of money for lunch. A classic trip that I have to make, Roy. Loved the fun article. Thank you! Great article but well overshadowed by your July hanging up the spikes. I still recall the days when you would tell me about taking care of Thurman at the track. Well deserved boss!!! Another great one. I somehow missed, until reading this, that you are only working until the end of this June. Congratulations! I am very interested to know who will take the reigns. Thank you for bringing to the forefront the part many fail to notice, that the Masters is not an accident. I really enjoyed that read! Well since Bib lettuce is the only other thing I can’t get enough of, I will add this to my trip list. Great article Roy. Another great read, Roy, and you’re absolutely right about the Masters—everything you said. I was shocked, the first time I went, at the prices. After (yes) Yankee Stadium, where a Heineken will set you back $12, I was in complete disbelief. As for walking around the course, there’s just nothing like it. I didn’t know you were hanging up your cleats this summer. Let me know if you find your way to NYC. An email was just sent to confirm your subscription to Sunday Morning Coffee with Roy Berger. Please check your email and click confirm to activate your subscription. © 2019 Roy Berger. All Rights Reserved.